Ace Of Spades (23.5mb for Open Source Windows, no install .zip) is a great little shooter adventure project. 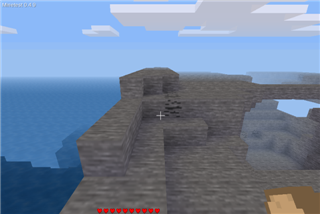 With Minecraft being so popular there was bound to be spin-offs of the game. Ace Of Spaces is but one of those games. It's totally free and client servers and host servers seem to be working fine (the few I tried). 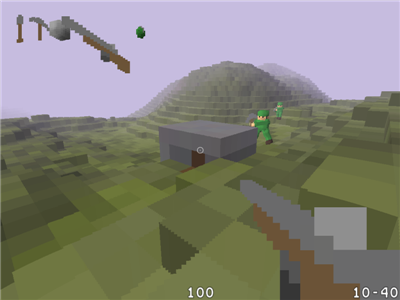 This is Minecraft with guns. Build your bases and tunnels while shooting you enemies, build and shoot. There are 2 downloads to choose from, Build and Shoot Launcher for Windows or, OpenSpades for Windows, Linux and Mac which is what I chose. There's a large active community for this freeware game plus many mods available. Just watch the in-game videos and decide for yourself. Great game but plays slow on my computer even on the lowest setting. I really need a new computer. 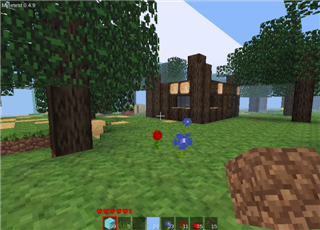 Found a website with some good Minecraft like game reviews. Take note that a few are free lite versions, some payed for, some for PC or apps for your mobile device etc. Hey SA I found another website too http://freeminecraftgames.com/ alot of games there. Game Slave that's actually a good site. There's lots of simple block flash games there. You should be able to play most of them. 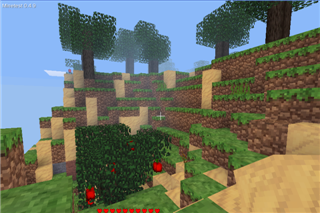 I played Minetest last night and it was pretty good, runs ok on my computer, but my world looks nothing like it does from the games website? 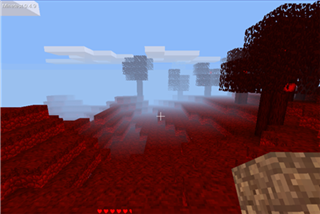 http://minetest.net/ my world is almost all red. Maybe it's just the world you created Game Slave as you do have other colours in the game besides red. Maybe create another world and see what the game engine generates. I've also edited this threads title to include other Minecraft clones. I knew you'd work it all out Game Slave Well Done! btw is that another world? Minetest looks ok, downloading now. I played another different game tonight called Epic Inventor http://www.epicinventor.com/ It's not really a Minecraft type game but it has a very basic mining action, and you have a robot to help you in the game. It more about creating objects, tools and machinery. If you want to download the game the website will ask for your email address but you don't need to enter a real email address the game is ok when you mater the controls and the games action keys. I knew you'd work it all out Game Slave :)Well Done! I had 4 worlds but deleted 2 of them. The all rock world I could not do anything in it with the original start of game tool I had. The other game was also a bit limited to what I could do. The 2 I have saved are good worlds. In one of them I have stated to build a fortress. Here's another good one Game Slave. It's called Manic Miner and is in the Alpha stage of development but still plays very well. It's a 3.3mb game install with heaps of mods but be on the cautious side with them. 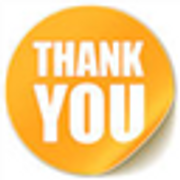 Make sure that if you are going to use a mod, that it's genuine and trusted. I did have an issue when starting as I couldn't find any help for first timers and even the configuration file doesn't exist in it's Start Menu directory. The game will install to C:/Manic Digger folder by default. I started Singleplayer game, then clicked Create or open... It then asks for a Default save game data file which I had no idea where that was. Anyway I just clicked on Open and it started to create a new world. By default it creates your Default world data in your Documents folder. You may want to place it in the C:/Manic Digger folder to keep your world data there. It took ages for it to create the first new world and I thought the game had crashed, so I exited the game and started again. The world was fine and it plays great in the 30+ minutes of testing. Your Esc key brings up your options and key configuration. Something else I noticed was their forum directs to the minetest forum??? It goes back to the Mine Test game forum you were playing before and previously mentioned in this thread. I'd say that this is a mod of Mine Test. I may keep on testing it just out of curiosity. Seems ok.
Unturned and apparently Unturned 2 seems to be the latest fun packed Minecraft clone. 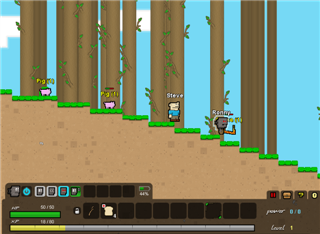 It looks a lot like RoBlox and has elements of DayZ, WarZ, Rust and 7 days to die. Team up with your friends and kill all those zombies before they kill you. 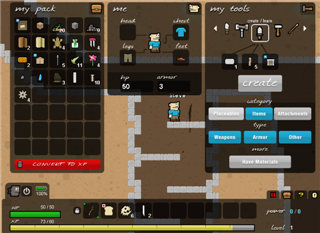 Heaps of items to collect and also take from other players when they die. Check it out and download it from the Steam network, good servers and all for free. Made for fans by fans.